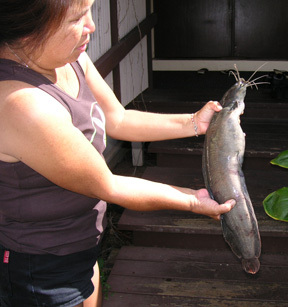 Madeline Heather was fishing at Nu'uanu Reservoir on the island of Oahu on September 2, 2006 when she hooked a "big one." She battled the fish using 12-lb test, a Penn reel and an Ugly Stik rod and eventually landed a 2.73-lb Chinese catfish or puntat. A new state record!